Get your work done in no time! 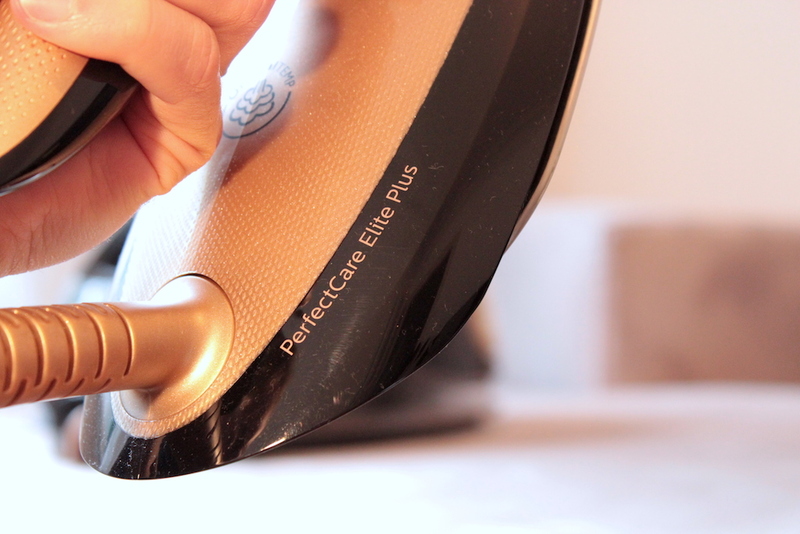 We tested out for you, the new Philips PerfectCare Elite Plus: The most powerful and fastest steam generator in the world, with ultra-light iron and intelligent automatic steam for ultimate convenience. No temperature setting is required and no burns, guaranteed. Here’s our experience with the new, highly satisfying, and overall ideal face of steaming. 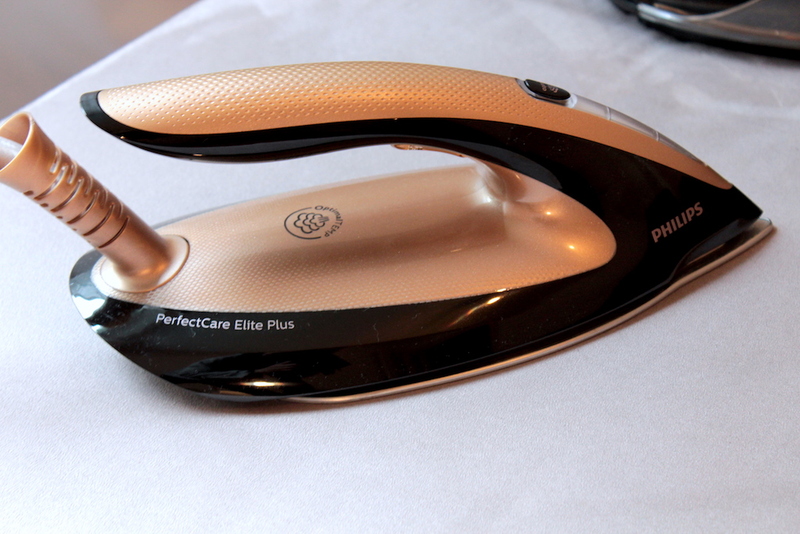 When our team first took to the new Philips PerfectCare Elite Plus, we were a bit skeptical about reviewing a steamer. I mean, how interesting can a steamer ultimately be? 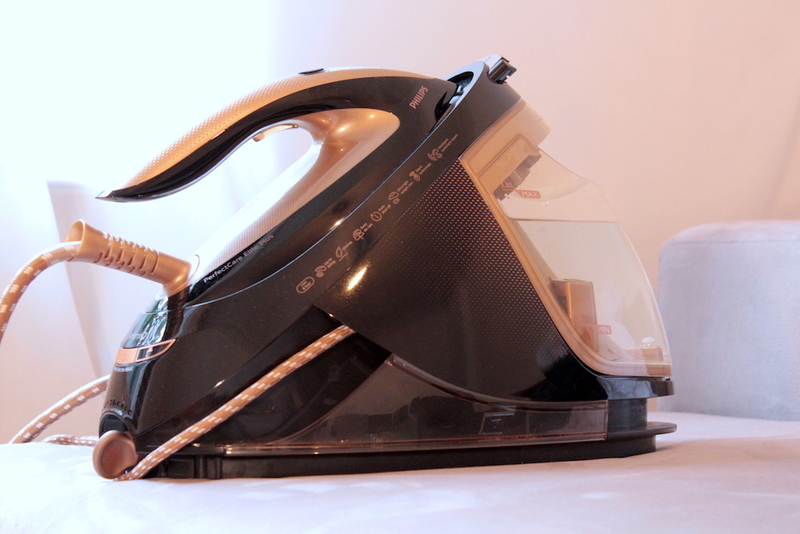 After trying out the steamer and experiencing the advanced technology for ourselves, we were pleasantly surprised at how effortless and fun household chores can be when you have the right product to get the job done. Iron everything from jeans to silk without adjusting the temperature. Thanks to OptimalTEMP, no dial or settings are needed so there’s no more laborious pre-sorting the laundry, or waiting for the iron to heat up or cool down. You’re ready for any fabric, any time. We speak for anyone who’s ever used an iron on their clothing when we say that it isn’t the easiest and most pleasurable task in the world. You have to keep a close eye on how long you hold the iron over the clothing, or else, there is a chance your khakis are going to end up crispy and no-one wants burnt clothing. Especially when it can easily be avoided. Thanks to OptimalTEMP technology, we guarantee that this iron will never cause burns to any ironable fabric. You can even leave it resting face down on your clothes or ironing board. No burns, no shine. Guaranteed. There’s always that one shirt that takes half an hour to iron, its too thick and the creases seem to be centuries old and starting to fossilize. With the help of the strong, continuous steam, you are able to tackle even the thickest fabrics with ease. Watch stubborn creases melt away with an extra steam boost just where you need it. This extra steam is perfect for vertical steaming to refresh clothes and if you wish, curtains too. 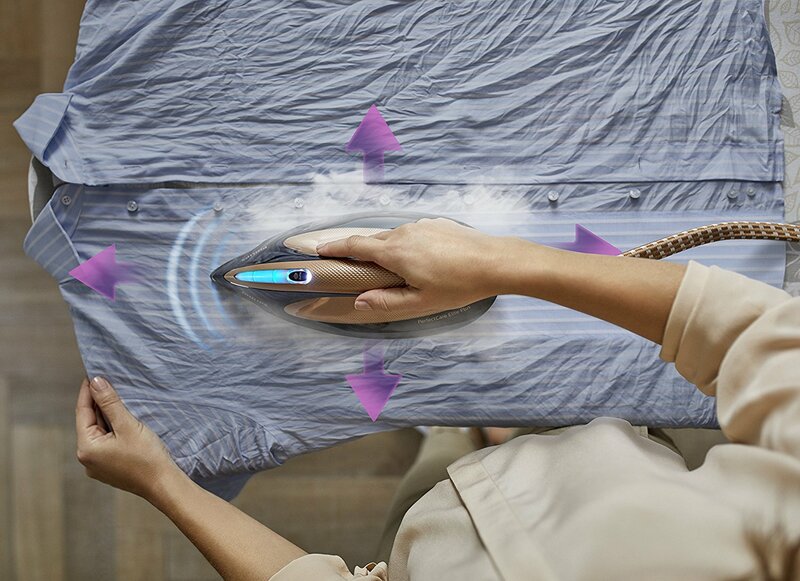 With a DynamiQ smart sensor, the steamer knows exactly when and how the iron is moving, delivering powerful steam where you need it most – for easier ironing and faster results. 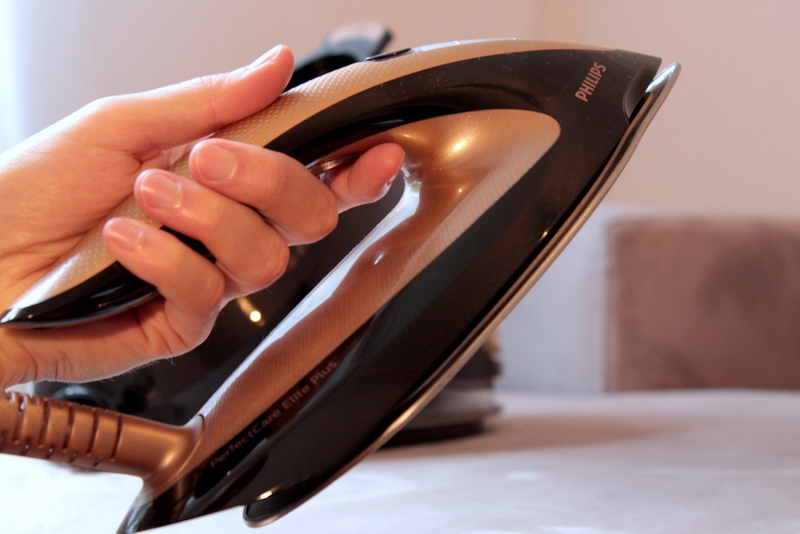 Unlike some steamers, this iron is amazingly light and comfortable to handle, gliding easily and reducing wrist strain. Its minimal weight also makes it easy and effective for vertical steaming of curtains and hanging clothes. T-ionicGlide is Philips best soleplate for ultimate gliding performance and maximum scratch resistance. Its stainless steel base is twice as hard as a regular aluminium base, and the patented 6-layer coating with advanced titanium layer glides effortlessly for the fastest results. 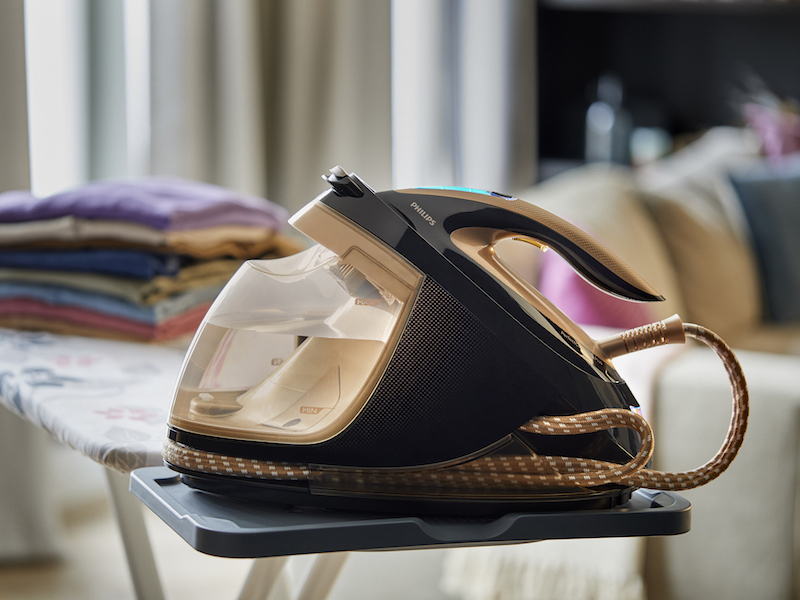 Regular descaling protects your iron, extends its lifetime and ensures the best steam performance. 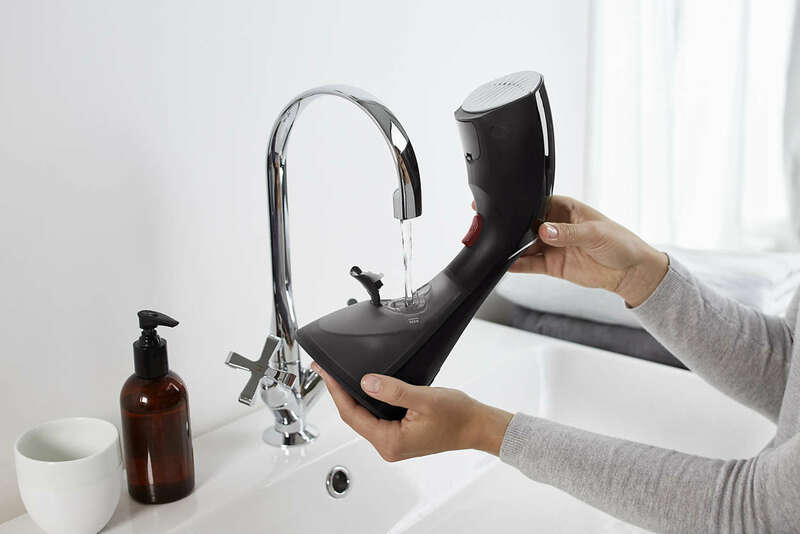 The exclusive Easy De-Calc Plus system collects limescale continuously with an indicator light and audio signal to tell you when it needs emptying. Simply remove the plug and let the water and scale particles flow out. Silencing filters minimize steam noise and an advanced sound-absorbing platform reduces vibration in the base unit. This powerful steamer won’t overpower the sounds of television, music or family time. The Woolmark Gold seal of approval ensures a product is safe to use on any and every wool fabric. 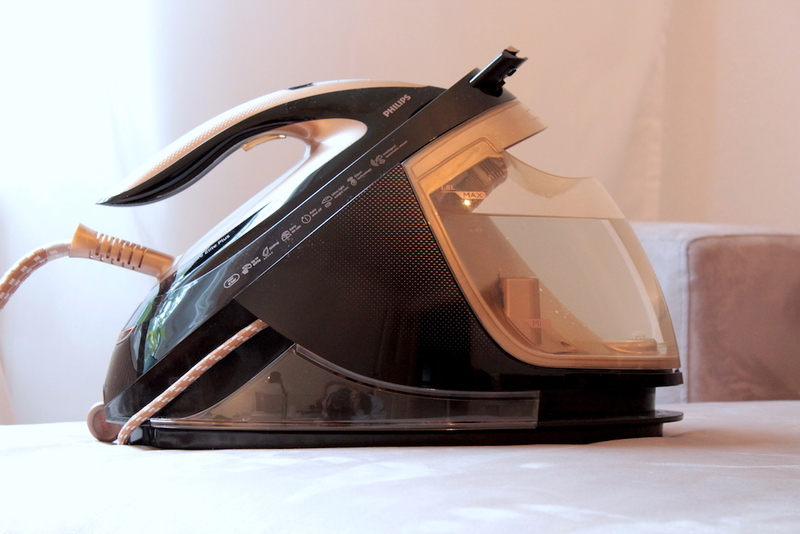 The steam irons with OptimalTEMP technology and is the first and only iron, from any brand, to earn this level of certification. The automatic shut-off function automatically switches off your steam generator iron if it has not been used for a few minutes. This saves energy and gives you peace of mind as you go through your busy day. 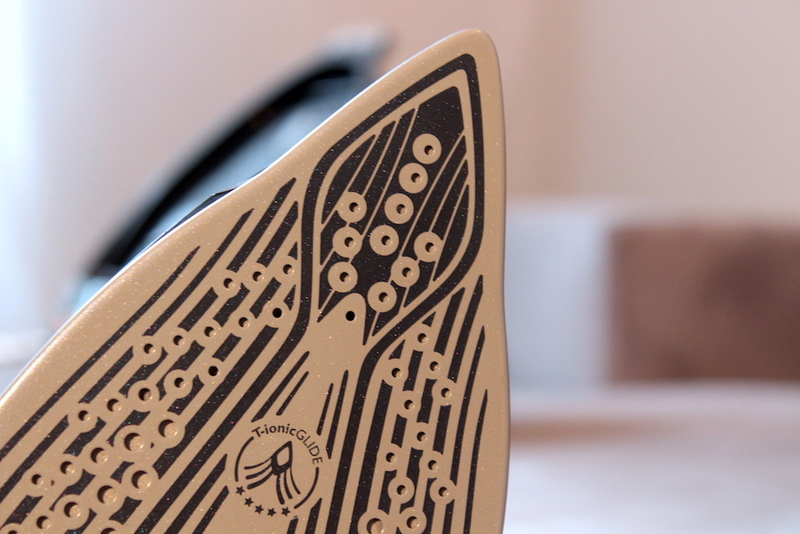 Lock your iron securely to the base station for easy carrying around the house and to reduce the risk of accidentally touching the hot soleplate. We were amazed at all the unique safety features the steamer offers. Save energy and get the same great results. ECO mode, for anyone with a green thumb, reduces your energy consumption for garments that require less steam. 1.8-litre transparent tank gives you up to 2 hours of continuous use. When the water tank is empty, you will be reminded by the indicator light. You can refill under the tap easily and at any time through the large filling door. 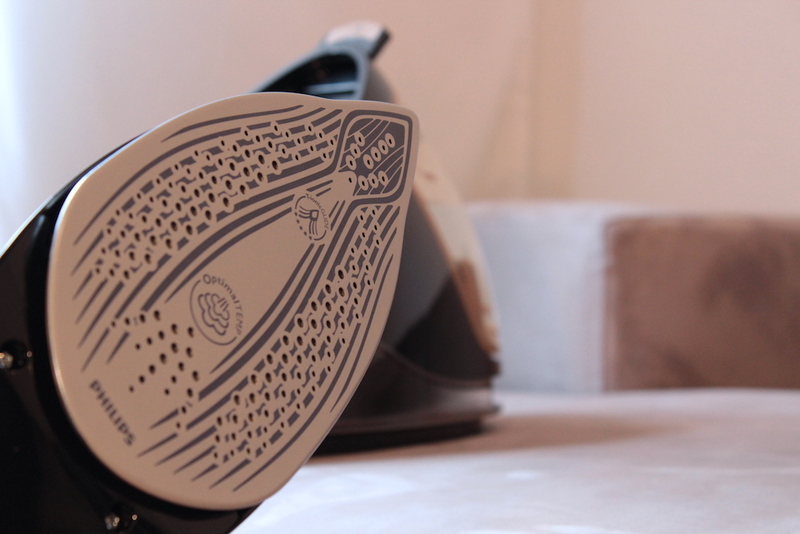 We are fascinated that ironing can be so easy and hassle-free! We give it a thumbs up and an absolute buy recommendation. If you are traveling around, we can only recommend you the portable StyleTouch steam brush! You’re must-have for your business or holiday trip. It happens to the best of us, you’re on the go, traveling to different destinations, and your shirt is heavily creased. You have about 15 minutes to be in the conference room on the first floor of the hotel, no way is an old hotel closet iron gonna cut it. 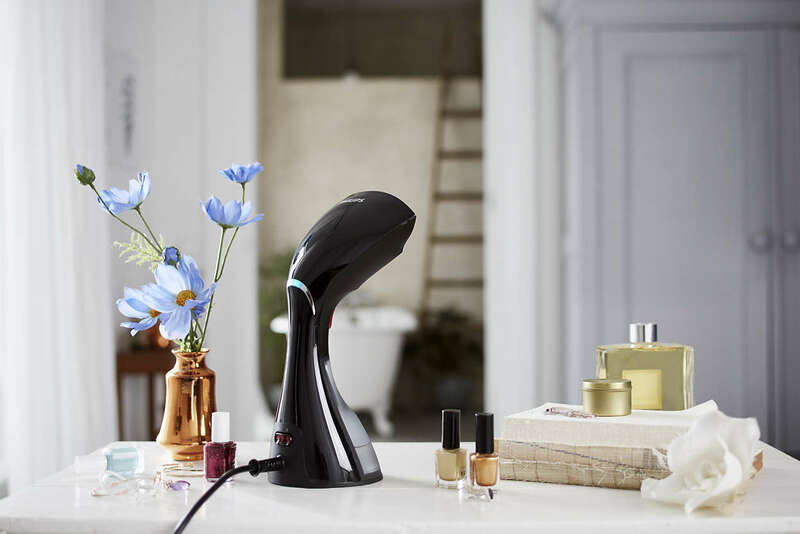 Thanks to the innovative steam technology with a quick chalk release, the StyleTouch garment steamer delivers powerful steam for years to come. Effectively eliminating creases and easy to use, StyleTouch gets you ready in no time! Other steamers are prone to lose steam performance over time due to scale build-up. Thanks to the innovative PureSteam technology with quick calc release, the scale does not stick to the heater and is easy to remove. It is so effective that the steam is powerful for years to come. Steam your clothes vertically without using a bulky ironing board, or give them a finishing crisp touch by steaming horizontally on any straight surface around you. Due to its unique internal design, this steamer will generate powerful continuous steam even when horizontal. Especially useful for tricky areas, like collars or cuffs. 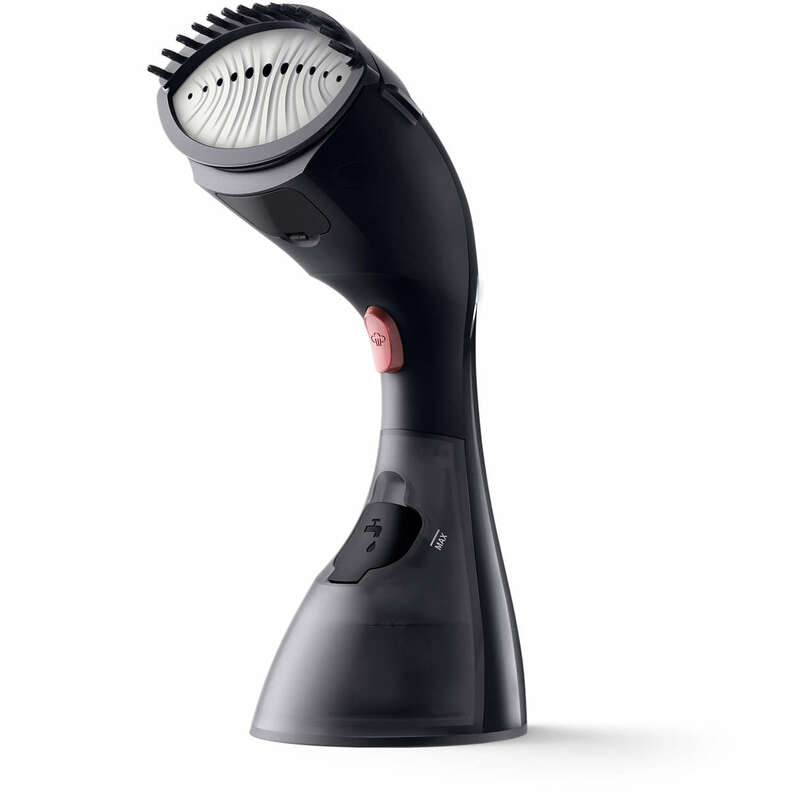 The brush attachment opens the fabric fibers and enables better steam penetration. It is especially good for thicker garments like jackets and coats. It’s also a great way to remove dirt and pills. Thanks to the electric pump, you do not need to pump manually and break a sweat while trying to simply steam your shirt. Just hold the trigger down and steam continuously comes out. The SmartFlow heated plate prevents condensation on your garments while still being 100% safe on all your clothes and even delicates. Unlike other steamers, the plate will prevent a large suspicious wet mark under your armpit. We know you’re not sweating, its the lousy steamer. During the steaming session, you can rest the garment steamer just by letting it stand on its base. It has an easy and safe resting position. StyleTouch Pure is Phillips most powerful handheld steamer, and is fundamentally different from other steamers. 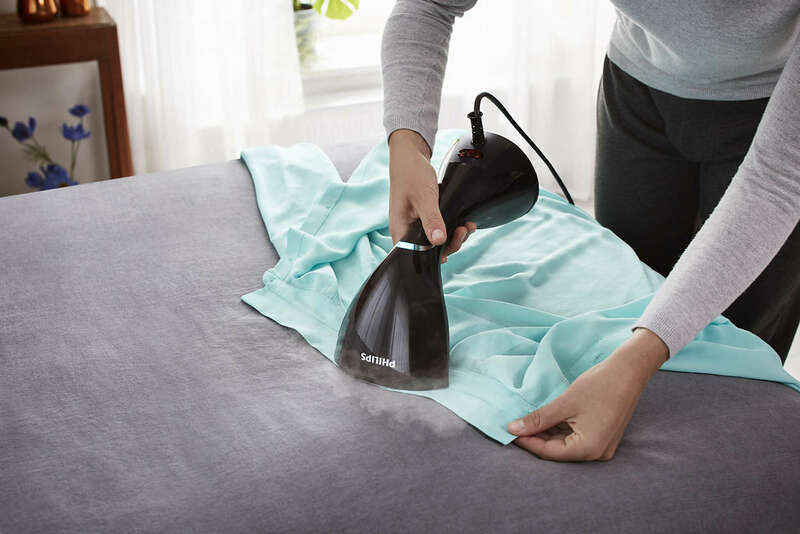 With up to 30 g/min of use, it generates powerful steam that penetrates deeper into the garments, enabling you to remove creases faster. Ready to steam in no time. Just plug it in, wait for less than 1 minute… steam, and go. This steamer is extremely ideal for busy mornings and days filled with travel and constant, non-stop work. For us, it is definitely worth a recommendation to buy, you’ll thank us later.